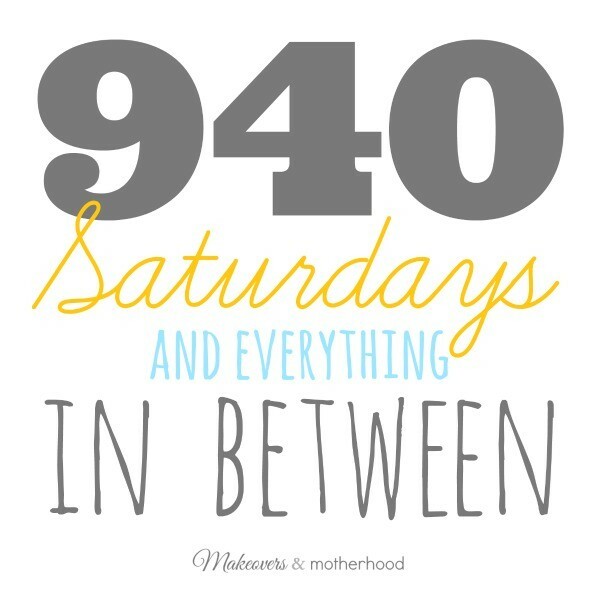 940 Saturdays & Everything in Between! It’s 1:20 a.m. I’m sitting in a completely quiet house (well, except for the movie playing softly in the background to keep me company). My heart is racing, pumping so hard in my chest like I’m on a sugar high. Only the rush I’m experiencing is the overwhelming flow of emotions I have for the four precious guys sleeping in the rooms above me. Anyways, here I am, looking at Pinterest and I’m seeing all these wonderful ideas about teaching your children site words, making toilet paper roll crafts, decorating pumpkins, and fun fall family activities (all of which I pinned here, by the way). And I’m thinking there is just not enough time. I often get caught up in wanting to be a better wife, in being a better mom that I don’t take the time to actually do it. The boys have had several “big deals” lately and we have tried to commemorate each special occasion with pictures and celebrations… Dylan had his first day (ever) of preschool which was made even more special by having grandma and grandpa here to walk him in and take pictures with him. Connor graduated his phonology class and chose his family celebration to be held at Chuck E. Cheese so he could play games. The AWANA program at church just started tonight and the boys were so ecstatic to share with us all the fun they had learning about Jesus that they plopped down on the floor just inside the back door and spread their books and papers across the floor. I love these moments and feel so incredibly blessed to get to spend my days loving on and caring for these sweet boys. Yet, as I’m thinking of all the things I want to do with the boys, my mind drifts to all the times I was too busy with my own agenda to spend quality time with the boys. “Mommy needs to work.” “We’ll play outside after we get laundry done.” “Please leave Mommy alone for a few minutes.” “I can’t look at your block tower now.” Granted, we can’t realistically drop everything we’re doing, but these words painfully echo in my mind as I think of all the times I actually could have played with the boys or I could have dropped my own futile project to spend time building them up. There are so many little moments we can applaud our children throughout each day. It doesn’t have to be a big milestone for it to be worth celebrating. Connor wrote his name by himself on the chalkboard for the first time last week! (I didn’t even know he could do that!) And just during the last couple days, he has been forming letters of the alphabet out of PVC pipes. I am so impressed by his creativity and his determination… yesterday he wanted to know how to make a ‘W’ out of the pipes. I took a sticky note, drew a ‘W’ on it in marker and showed him what the letter should look like. I also showed him that if you turn the sticky note over, a ‘W’ becomes an ‘M’. He took the sticky note, left my office and went to work on his task, but ended up putting the pipes away before the letter was formed. Today, his beaming face walked through my office door as he said, “Is this what this looks like?” He had kept the sticky note in a safe place and worked on creating the letter quietly on his own. What he showed me was a perfectly constructed ‘W’! Within the last month our middle child has actually shown enthusiasm to learn. Last Friday, our littlest guy started eating meat and “big boy” food. Little accomplishments in the grand scheme of things, but they are big steps for the boys now. How does time go so fast? So the question I am challenging myself to ponder every morning is: What am I doing today that is making a difference in my family’s life? Sit down and play blocks or dolls with your kids. 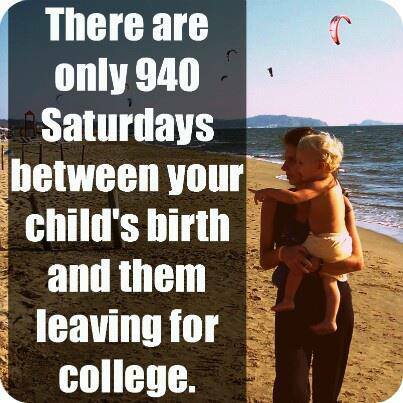 Spend time reading to your children and holding them (if they’ll still let you). Take pictures of the achievements they are proud of whether it is the first time they tied their shoes on their own or an art project they made. Pray for your kids, your husband, your family. Let your drive time double as prayer time. On the way home from the YMCA this morning, I prayed for my mother-in-law. 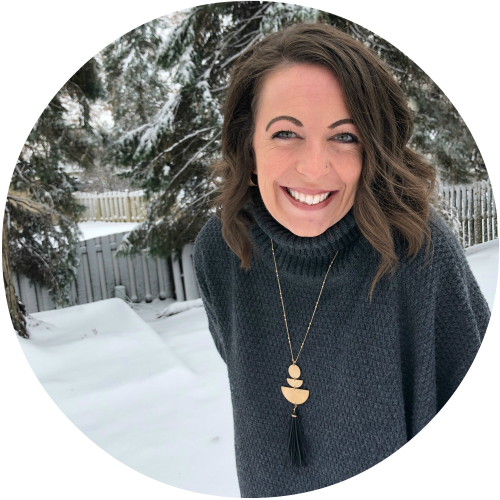 While taking the boys to church tonight, I prayed for my husband’s meeting with his difficult new director and a potentially awkward situation he may be encountering at work tomorrow. God hears us when we pray… no matter where we are. Be present. Just be in the moment. Forget the dishes, start the laundry while the kids are sleeping, and enjoy watching them ride their bike down the sidewalk for the 100th time! What will YOU do today to make a difference in your family’s life? What a sweet post. It’s a great reminder to enjoy our life rather than manage our lives. I never forgot when my daughter was a baby and a friend was planning her daughter’s eighth birthday. She told me that it needed to be special because it would the only eighth birthday that her daughter would ever have. I try not to forget that. Such an important message! I need to read it regularly when I start drifting! Awesome post! I’m so glad I found this today. It was one of those days where I was not present AT ALL…and it helps to be reminded how important that is.